If you suffer from Raynaud's disease, you'll be aware of what a struggle it can be to keep your hands warm and comfortable. The Hotteeze Hand Warmer Winter Bundle is the ideal hand-warming solution for sufferers of Raynaud's syndrome. 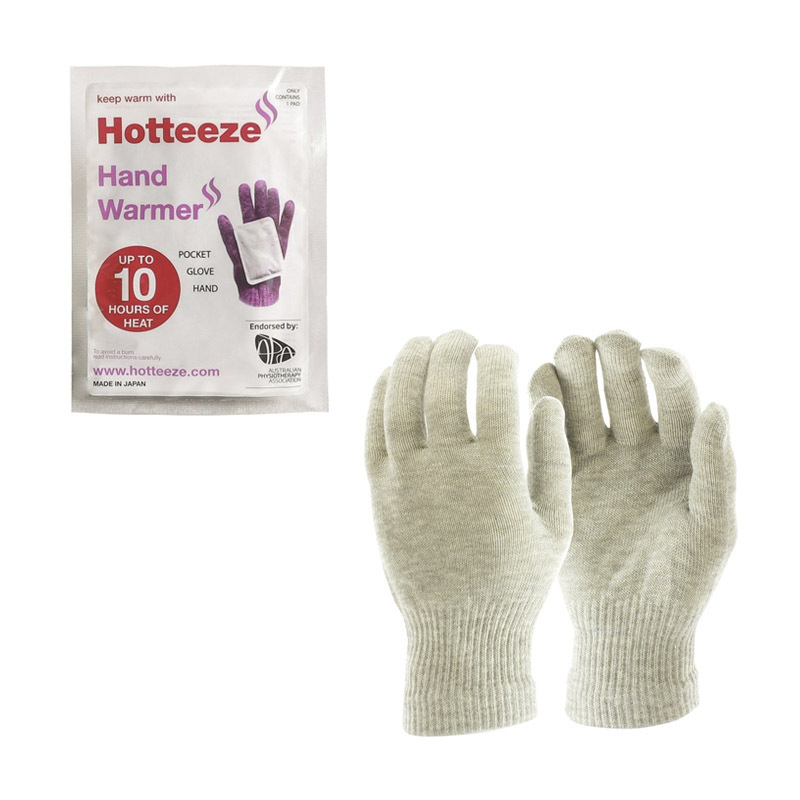 While the Hotteeze Hand Warmer provides heat direct to the hands and encourages circulation, the Silver Gloves help to retain that heat by reflecting it back at the skin. 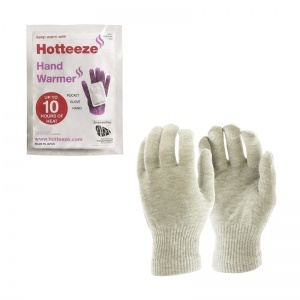 In combination they can help to alleviate the painful symptoms of Raynaud's. 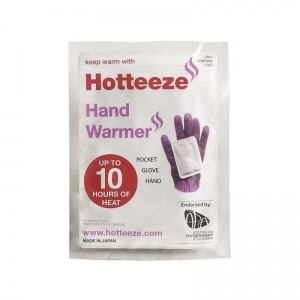 10 × Hotteeze Hand Warmer - Ideal for keeping your hands warm and comfortable in cold conditions, this fast-acting, easy-to-use hand warmer works almost immediately and continues to provide warmth for up to 10 hours. 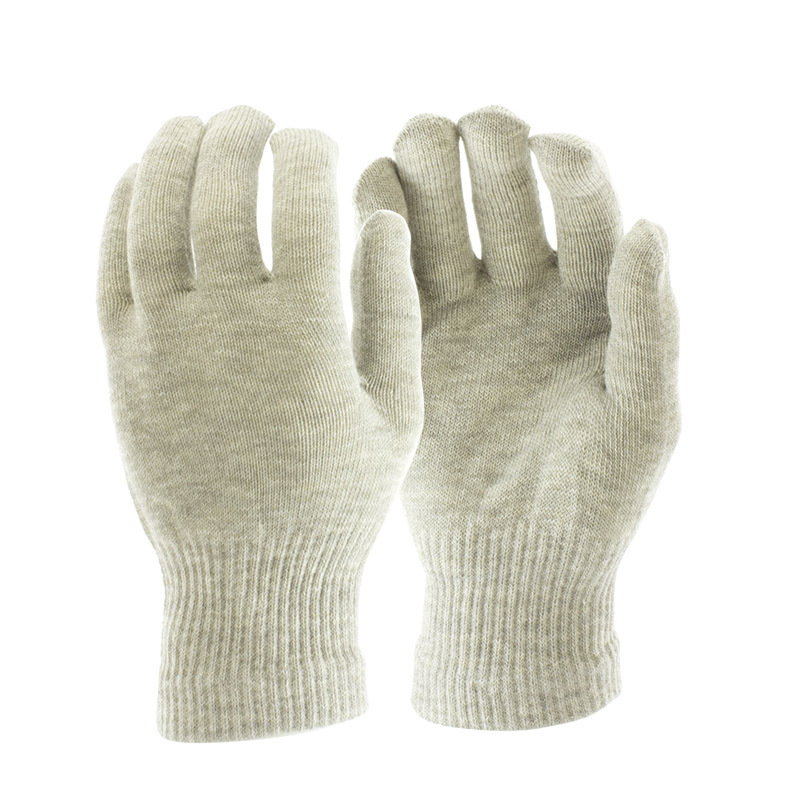 Hold it in your hand, keep it in a pocket or tuck it into your Raynaud's Disease Silver Gloves (below) for the ultimate hand warming solution. 1 Pair of Raynaud's Disease Silver Gloves - These gloves contain natural pure silver that reflects up to 95% of the body's natural energy back to the skin, conserving heat and helping to combat cold hands. With a seamless construction, they are extremely comfortable to wear and also feature antiperspirant and antimicrobial properties. 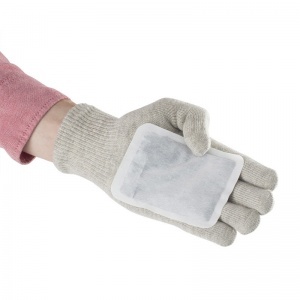 Please ensure you select the correct size of Raynaud's Disease Silver Gloves from the drop-down menu above.